It is one thing to master the roasting and blending of coffee and a completely different challenge to name the coffee or blend. At Strictly Coffee, we tend to name the coffee after it’s country of origin. Therefore, the Colombian coffee comes from (no surprise) Colombia. In this way, we pay homage to the fact that the origin of coffee contributes and distinguishes the coffee from that of another country. “Ode to the bean”, so to speak. When it comes to the naming of a blend, it becomes a very personal decision. Some roasters prefer to honour the founder, owner or roaster. Others prefer to choose a name, based on the most outstanding taste or aroma profiles of the coffee. In general, we have decided to name our blends, Strictly Coffee House Blend, American Blend and African Blend. These refer to the origin of the beans, which make up the blend. When roaster/owner, Hanno Schwartz, decided to make a new blend (with quite a difference), the name became a problem. 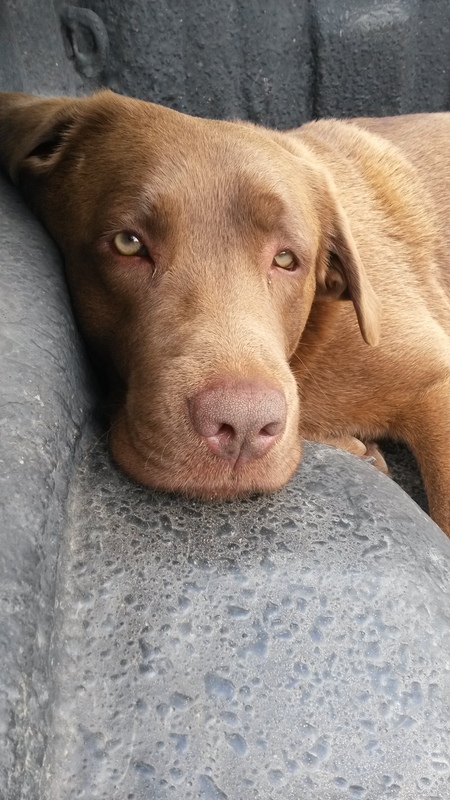 Until a regular visitor suggested that we name the blend after another regular – a brown labrador, called Jackson Brown. It made sense – Jackson Brown (the dog) is chocolate brown and fluffy, which resembles the coffee (no hair, though!). The Jackson Brown blend differs from the other blends, in that the green beans were blended, before roasting. All the other blends, in the Strictly Coffee stable, are blended, after roasting. More about the difference between blending before vs after roasting in Medium or Dark Roast – that’s the question. No surprise that the Jackson Brown blend has become one of the favourites amongst our regulars – both the name and the blend.